FairCom’s multimodel No+SQL technology facilitates high-performance NoSQL and industry-standard SQL access within the same application, over the same data. 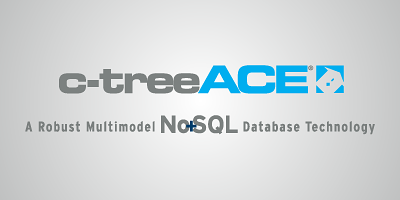 Our c‑treeACE is an advanced, full ACID, key-value store that supports multiple relational & non-relational interfaces. With over 35 years of development and use by mission-critical and “too-big-to-fail” systems, c‑treeACE has a proven track record supporting enterprise applications. 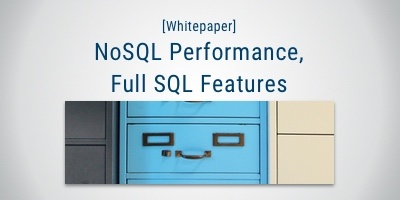 Our advanced No+SQL database engine supports multiple data models, ACID transactions, and precision control to deliver performance, scalability, and data integrity. c‑treeRTG is for those who want to update the data management engine underneath an existing application without touching the code. Designed and built from the ground up for IoT. Built-in industry-standard MQTT and connectors to popular platforms like Node-RED and ThingWorx allow for easy development while running natively on major IoT operating systems and hardware platforms. 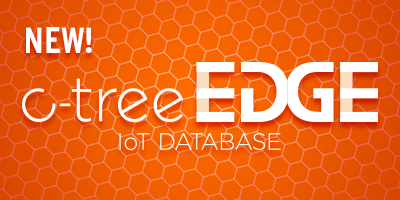 c-treeEDGE makes persisting data at the edge easy.